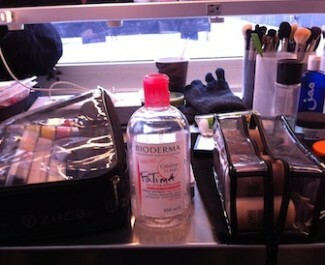 Clean Up Like a Model: Behold the BIODERMA! I got the tip-off last season in Paris. It was the end of my trip, and I was doing my regular run to City Pharma in St Germain. City Pharma is where all the Parisian women go to to buy their toiletries; they have the biggest selection, the most informed staff, and by far the best prices. So while grabbing my usual moisturizer and sunblock, I smack into the motherlode of spying candidates – supermodel Karlie Kloss. Crealline H2O (aka ‘SensiBio H2O’) is a ‘Solution Micellaire’ – which means it’s a hypoallergenic, fragrance-free, sensitive skin makeup remover. It’s basically purified water with tiny oil particles suspended in it that gently and completely removes makeup. I get why she likes it – It’s nice. Very clean feeling. It’s effective. And I’m told you don’t you don’t even need to wash your face once you’ve used it. For the rest of Fashion Week, I notice it EVERYWHERE. 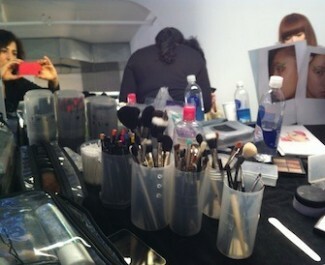 I asked several makeup artists about it, and they confirmed that, indeed, every makeup artist has it. They have to. Apparently Karlie isn’t the only devotee – all the models travel with it and bring it back from Europe because they love it so much. Now, who do you trust more than a bunch of girls who’re having their makeup put on and taken off 6 times a day? Girls whose job it is to keep their skin looking clear and beautiful? 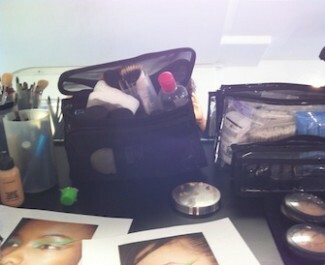 According to my trusty friends at MAC, the models all swear by it – and everyone asks for it. The question is, where can we find Bioderma Crealine H2O in the US? I’ve only seen it here on Amazon, and at New London Pharmacy in NYC. The problem is the price. Amazon lists it for around $30 a 500 ml bottle, and the same size bottle runs $48 at New London. Ouch! Keep in mind, this stuff is cheap in Paris. Your average pharmacy there runs specials for TWO 500ml bottles for 16€ (just under $21). So, um, ahem, Duane Reade? CVS? Get on the stick, people! You’ll be selling ‘em like hotcakes!